Brand New, 2,000 sq. feet! Step inside this paradise for Babies and Toddlers! Our Brand New Toddler Center will spark a child’s curiosity and imagination while engaging their fine and gross motor skills. Children will delight in the fun and interactive Activity Stations, Rides and Sensory Enhancements. 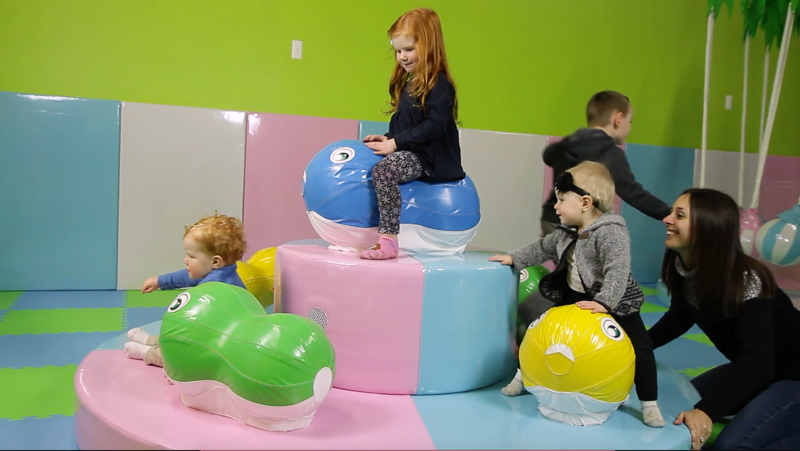 Whether riding on the Peanut-go-Round or Ladybug Ride or playing with the Tug Boats and Number Cushions,children will enjoy hours of entertainment! (INFANT-4YRS). 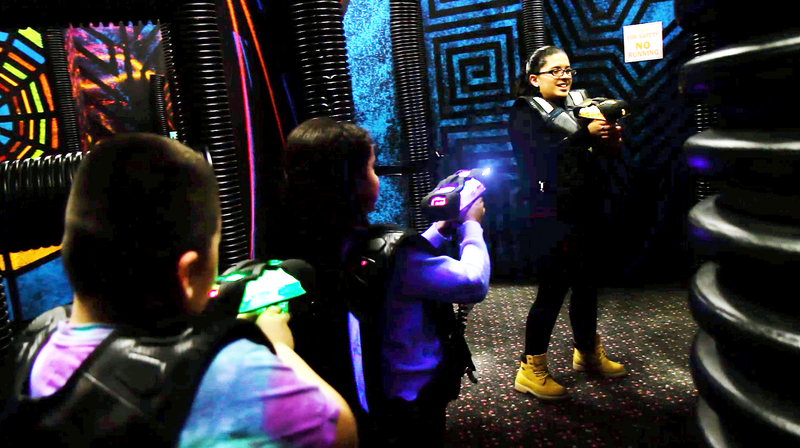 Gear up and get ready to have the ultimate Laser Tag Battle! Step into our newly designed 4000 sq ft arena and prepare to deactivate your opponents before they deactivate you. Catch your breath as you make your way through our galactic arena filled with surprises and backdrops! Play individually or on teams. This complete interactive game will engage and challenge players of all ages. 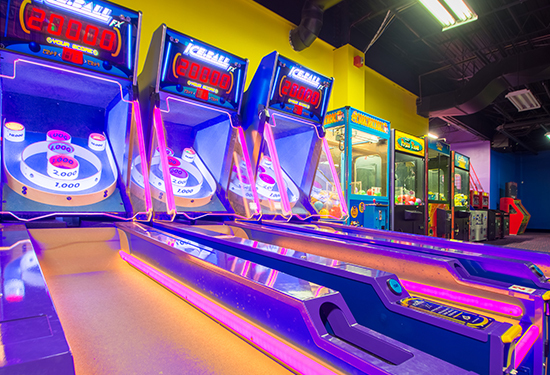 Say goodbye to coins and paper tickets and hello to our all-electronic arcade center! Simply insert you card and test your skills on any of our cutting edge,traditional or crane operated games! 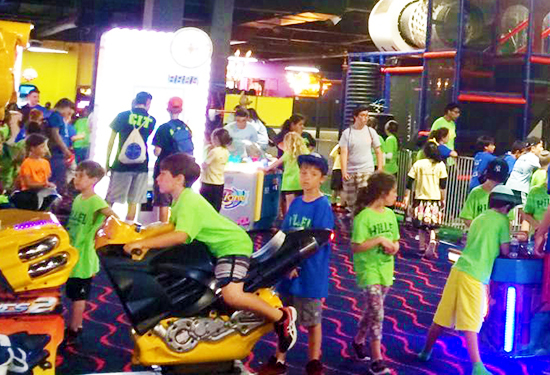 From Wac-a- Mole to Driving Games to Sports and more, challenge your ability with 80 different games! Earn points and redeem awesome prizes at our redemption center, or save them on your card for a bigger prize on your next visit, it’s up to you! Our Ultimate Arcade is fun for both children and adults. All New!!! Our latest attraction!! Go Head-to- Head with Family and Friends as you BUMP around on one of most popular attractions! 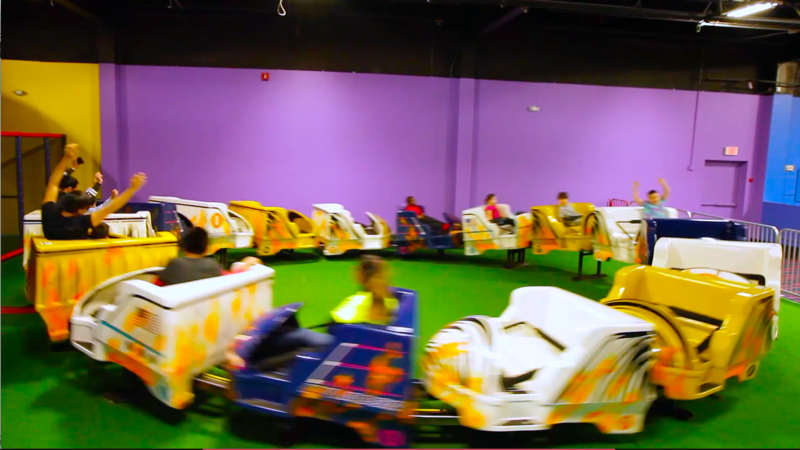 Strap yourself in for the ultimate indoor Roller Coaster Ride! Soar to new heights on our Roller Coaster. Riders will scream with delight with every twist and turn! Complete with Slides, Tunnels and Bridges, our custom built 55ft long, 3 levelmaze has plenty to offer your adventurous child! Relax and watch your childclimb and crawl along the winding tunnels, cross the web bridges and get abirds-eye- view as they slide down one of 4 incredible slides. 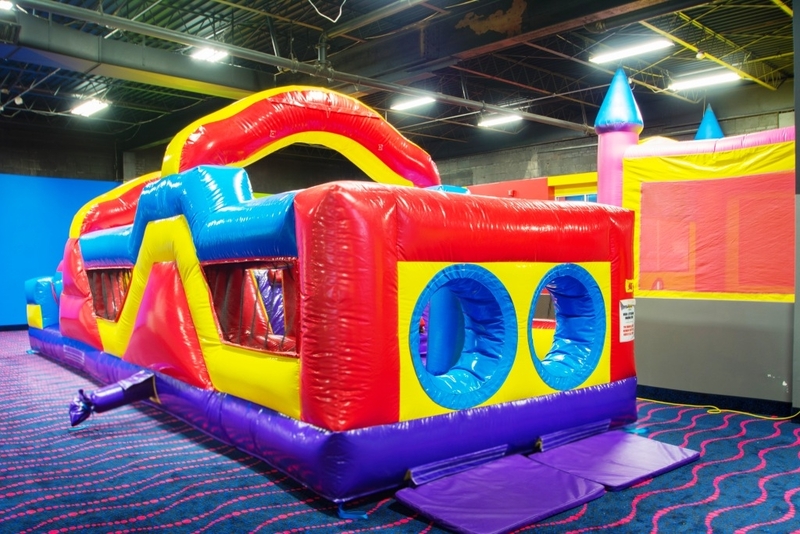 Bounce into our incredible inflatable zone and get ready to watch your child traverse their way through one of our 4 Inflatables, including 2 Bounce Houses and a 15 ft Slide. Our 40 ft Obstacle Course will challenge their skills and muscles. 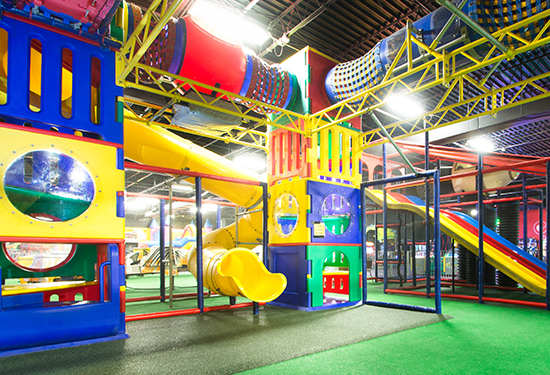 Children will have endless hours of entertainment as they jump, climb and play! A classic and a fan favorite! 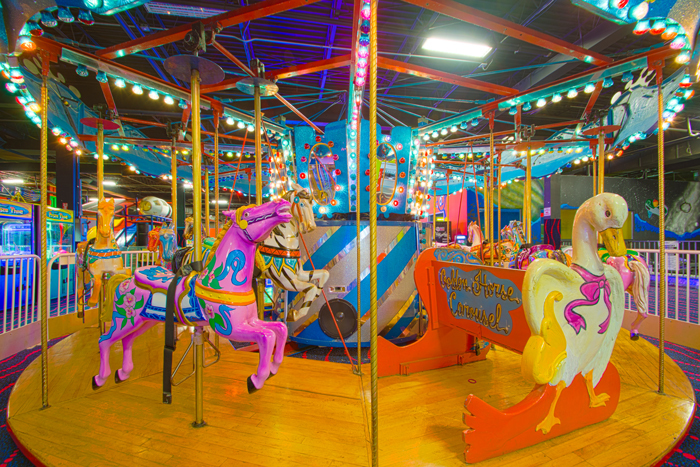 Take your child for a whirl on our Carousel. Choose your favorite horse and hop on and enjoy the ride! Socks are needed for Inflatables, Toddler Zone and Soft play maze. No food or drinks permitted on premises. Bumper Cars: minimum 40” as driver and 36” as a passenger. 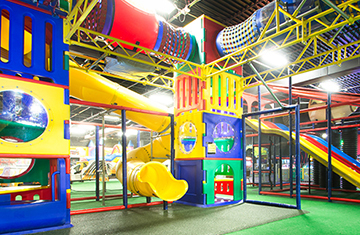 Inflatables and Soft Maze: Minimum 36" and Maximum 52"
Not responsible for any lost items.